A foundation set up by the former owners of the Boston Red Sox says its "disheartened" its namesake has become embroiled in the national controversy over racially divisive monuments. The Yawkey Foundations said Friday in a statement to The Associated Press that Jean and Tom Yawkey's philanthropy was "color blind" and their generosity benefitted thousands of disadvantaged children of all backgrounds. 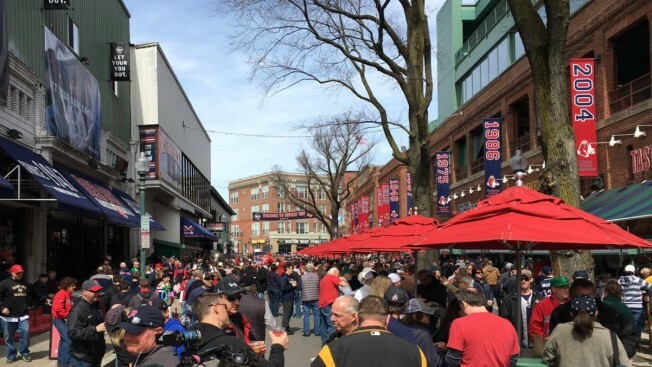 John Henry, who purchased the baseball franchise from the Yawkey Trust in 2002, wants the city to rename Yawkey Way in front of Fenway Park because he's "haunted" by the racist legacy of Tom Yawkey.